HD Rentals is excited to announce that our Freefly MōVI M10 has arrived, and is now available for hire in Perth. 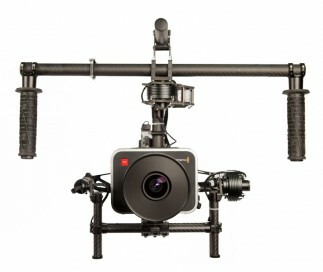 The MoVI is a 3-axis digital stabilized camera gimbal, so advanced, it redefines the possibilities for camera movement. Cameras compatible with the MōVI include the Canon C300, RED EPIC, Blackmagic Cinema Camera, Canon 5D, 7D, 1DC, Sony FS100 to name a few. HD Rentals have a range of accessories and tools necessary to get the most out of the MōVI. Our staff are trained on the rig, and available to provide advice on how to get the most out of the MōVI on your shoot. The device is in-house at HD Rentals and available for demos, however please call first to ensure the MōVI is here at the time you would like to visit.